A good death is often envisaged as a slipping away, in advanced age, surrounded by family. In such circumstances, society goes on undiminished. We can think of a good extinction in similar terms. A species slowly flickers out, surrounded by newer, better adapted species. This is not the kind of extinction that is occurring at present. The current extinction crisis is more like the deaths of young mothers, leaders in their prime, and many, many children. These extinctions destabilise ecosystems in the way that such deaths destabilise society. There is only one way to understand where such extinctions lead, and that is to study past extinction events, of which there have been several in Earth’s history. The full story of what happened is only now emerging, as advances in geochemistry allow us to see how air, oceans and atmosphere have changed. Such studies are central to the new discipline of Earth system science, which seeks to understand the complex interactions that keep Earth stable and habitable. This science is emerging as the greatest philosophical challenge to humanity since Charles Darwin’s theory of evolution by natural selection. Darwin dethroned us as God’s special creation and taught us that we are animals like any other. Earth system science threatens our dominion over nature by teaching us that we are as dependent upon the Earth as any single cell is upon the rest of a living body. To live in ignorance of Earth system science is akin to living without knowledge of human physiology. Symptoms of planetary sickness cannot be interpreted, and corrective action cannot be taken. The discipline teaches us that environmental damage is self-mutilation. In a resource economy such as Australia, many business and political leaders are implacable enemies of the new discipline. They find allies in religion, which can construe the science as the roots of a new green paganism. It’s ironic, too, that many of their more notable allies work, or used to work, in the very field that spawned Earth system science: geology. Andrew Glikson, a Canberra-based geologist, is an exception. No better description of the Earth system exists than his Evolution of the Atmosphere, Fire and the Anthropocene Climate Event Horizon (Springer; $106.95), though the slender volume is not for everyone. Its concise, technical language will be heavy going for those with little geology or chemistry. It is, however, a must-read for every engineer and geologist who is in denial about anthropogenic global warming. Elevated CO2 led to acidification of ocean water from ~8.2 to ~7.5 pH and the extinction of 35–50% of benthic foraminifera over ~1000 years. This neatly summarises countless hours of research, and describes an Earth whose atmosphere was so supercharged by greenhouse gases that the acidifying oceans led to mass extinctions, ecosystem crises and an ocean floor corroded red with acid. Only when conditions are reduced to such simple terms can meaningful comparisons between various crises in Earth’s history be made. So how grave, in comparison to earlier episodes in Earth’s history, is current climate change? The atmospheric CO2 rise from ~280 to 397–400 ppm, with a mean of 0.43 ppm per year … exceeds any measurement in the geological record. Glikson is telling us, in his own precise way, that the coming extinction crisis may well be worse than that of the greenhouse Earth of 55 million years ago or the extinction of the dinosaurs 10 million years earlier. In the last decade, he writes, “it was becoming clear that Homo sapiens was not going to undertake a meaningful attempt to slow down, arrest, or reverse global warming”. Writing perhaps of his own awareness of the impending apocalypse, he says that “human insights into nature entail a terrible price”. I’m not so sure we are doomed. There are dawning indications that humanity is using this critical decade to curb at last the use of fossil fuels. Each wind turbine, each solar panel, and each development in battery technology and electric vehicles is a skirmish won. There is no doubt, however, that much remains to be done if we are to stave off Glikson’s predictions. A snapshot of the current state of the planet’s species is given in Elizabeth Kolbert’s The Sixth Extinction (Bloomsbury; $29.99). In 2006, Kolbert published Field Notes from a Catastrophe, a bestselling account from the front lines of climate change, and her new book picks up the thread of the consequences for the world’s species. Broadly in line with Glikson’s overarching pessimism, it paints a picture of a world being torn apart by ignorant apes. Kolbert begins with the gripping tale of the fungus plague that is devastating the world’s amphibians. In the town of El Valle de Antón, in Panama, she finds the tourist stores stuffed with golden frog memorabilia. Even the taxis are painted like golden frogs, a species once found in the hills around the town. She meets the very last of the creatures in the “frog hotel”, a facility researchers hurriedly developed as the chytrid fungus advanced through the area. Among the few dozen tanks holding golden frogs, Kolbert sees other perilously endangered amphibians, including the last surviving Rabb’s fringe-limbed treefrog. As I was working my way through the second course – a very tasty cream-filled tart – I began to feel uncomfortably full. I was reminded of a description I had read of the anatomist’s anatomy. During the revolution, Cuvier was thin. In the years he lived on the museum grounds, he grew stouter and stouter until, toward the end of his life, he became enormously fat. The Sixth Extinction is full of such anecdotes. Building on Cuvier’s work, 19th-century scientists began to suspect that humans had exterminated the ice age giants, including mammoths and giant kangaroos. As Kolbert moves from discussions of the great auk to the dinosaurs and further back in time, she competently documents what scientists know of major extinction events and their causes. What the book lacks, however, is precisely what Glikson’s work nails – a clear sense of the implications of such extinctions for the whole Earth system. Errol Fuller’s Lost Animals (Bloomsbury; $49.99) complements this theme, and is one of the most melancholic tomes I’ve read. His ambitions are smaller than those of Glikson and Kolbert – he sets out simply to compile photographs of all the extinct birds and mammals he can. “In most cases the actual photographs shown here represent all that we have,” he writes. One series of images, taken in 1938 by a young American ornithologist and uncovered 71 years later by his widow, show an immature ivory-billed woodpecker sitting on another man’s hat and shoulder. The man and bird look so casually companionable that it’s hard to believe the nestling may have been the last of his kind. The few subsequent sightings may all have been of this same bird. Among so many extraordinary stories and images, my favourite concerns the New Zealand bush wren. The colour images, taken in 1964 by one of the lions of the conservation movement, Don Merton, depict a beautiful pixie-like bird more at home scrambling through the undergrowth than on the wing. It was safe on its last refuge, Big South Cape Island. Within months of the photographs being taken, rats arrived. By 1972 the species was extinct. It was one of only two surviving members of a family unique to New Zealand; DNA studies have shown them to be the most ancient of the songbirds. They had been isolated on New Zealand for over 65 million years. The losses go on and on. One of the most recent, and most comprehensively documented, is that of the po‘ouli. This black, white and olive starling-sized Hawaiian bird was only discovered in 1973 – on the rainforested slopes of Maui’s Haleakala volcano. By the late 1990s only three individuals survived. Their home ranges were isolated from one another, so without action the species was doomed. After years of fatal procrastination, a male was captured. Before a mate could be caught, the two wild birds disappeared. When the geriatric male died on 24 November 2004, the species was no more. Fuller’s book abounds with images of Tasmania’s thylacine – surely the most photographed of all extinct creatures. Some photos are heartbreaking, including those of pairs, and of mothers with cubs. 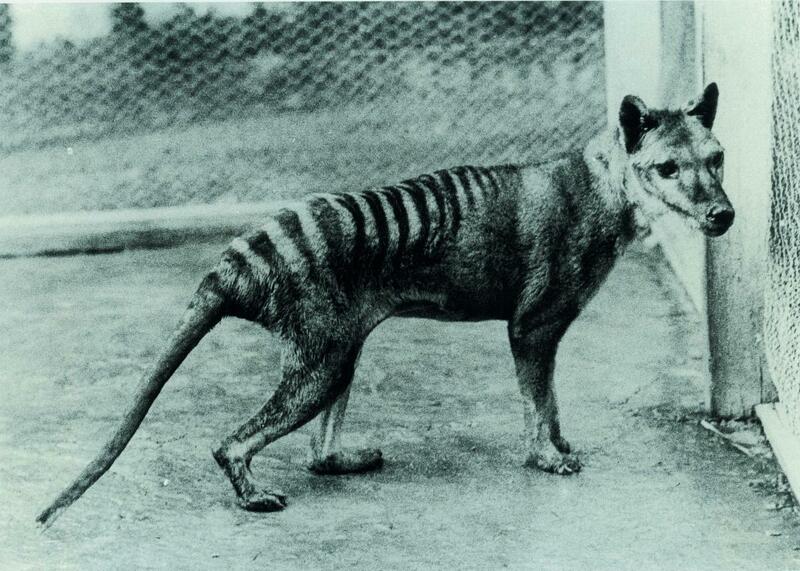 They suggest that with a little effort the thylacine could have thrived in captivity. But no effort was made, and instead the captives were sold and traded, one by one, to overseas zoos. Quaggas, bats, seals and dolphins – the list of lost mammals goes on and on. Where was Greenpeace, one wonders, when the last baiji succumbed? The baiji, a dolphin found only in China’s Yangtze River, is the only member of the whale family to have been driven to extinction by humans. There was every chance it could have been saved. A male and the last female were captured in 1986, but both died before the female was sexually mature. In 2002, the very last baiji, a male that had been in captivity for 22 years, died of old age. One wonders how little it might have cost to save this unique creature. To find a story of extinction averted, we must turn to Clifford B Frith’s The Woodhen (CSIRO Publishing; $59.99). Frith is one of Australia’s most eminent ornithologists, and the bird whose tale he tells is surely one of Australia’s most astonishing creatures. A few thousand years ago, almost every tropical and temperate island had its flightless birds. 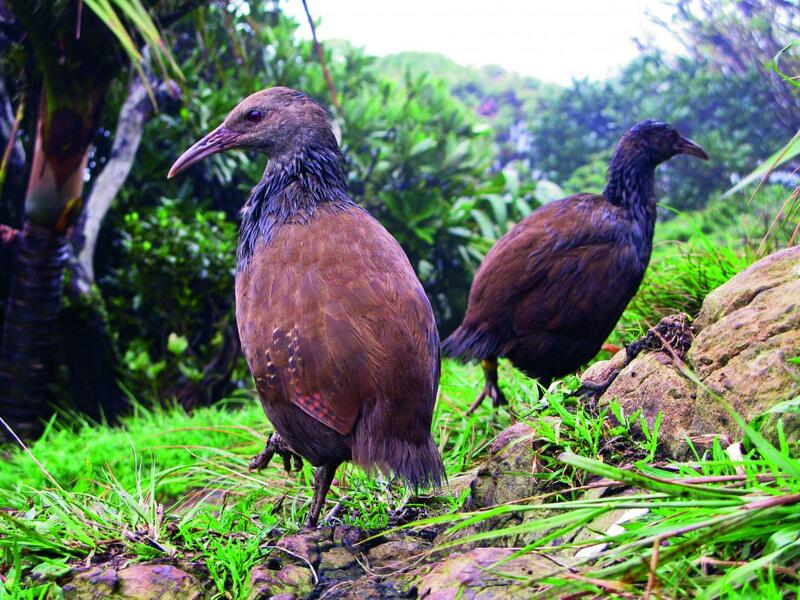 Today, the woodhen, which is unique to Lord Howe Island, is one of a handful of survivors. Somehow the island in the Tasman Sea escaped detection by humans until 1788. It remained uncolonised until the 1830s, and so bird life abounded there. The woodhen – a bantam-sized bird whose charming naivety made it vulnerable to exploitation – was common in all habitats on the island. According to the First Fleeters, it made good eating. Humans and the rats, pigs and cats they introduced did their best to exterminate the bird. Among its enemies must be counted the zoological collector Raoul Bell, who killed, stuffed and sold 82 specimens in the early 20th century. Despite this onslaught, between 20 and 30 of the creatures survived high on Mount Gower at the southern end of the island. In late 1969, John Disney, the curator of birds at the Australian Museum in Sydney, climbed Mount Gower with his friend and colleague Courtenay Smithers. Over two nights they caught and released 16 birds. It soon became clear that they had handled most of the woodhen population. Through Disney’s tireless efforts, a conservation charity was set up to fund a recovery program for the species. Cats and pigs were eliminated from the island, and a captive breeding facility was established. A few woodhen were taken from the summit and, despite early setbacks, in 1984 the first woodhen bred in captivity were released. By 1997 the species had re-established itself so successfully that the facility was no longer required, and visitors to the island can today encounter a woodhen with ease. The restoration of Lord Howe Island’s ecology requires one final act: the eradication of the black rat, which established itself after a trading vessel ran aground in 1919. Five bird species were extinguished within years, as were an enormous stick insect called the tree-lobster and various snails and other creatures. Small populations of many of these creatures survive on other islands in the region, and they could be returned once the rats are gone. Removing rats from islands is a well-honed art, and in the case of Lord Howe is feasible, but there is local opposition to the use of poisonous baits. Last year it was decided to delay the rat extermination program until 2016. It seems here, like everywhere else, human procrastination is leaving the survival of countless species hanging by a thread. Tim Flannery is a scientist and writer. His books include Now or Never, The Weather Makers, The Future Eaters and Atmosphere of Hope. Don WatsonWhy do Andrew Bolt and company love to hate the national broadcaster?